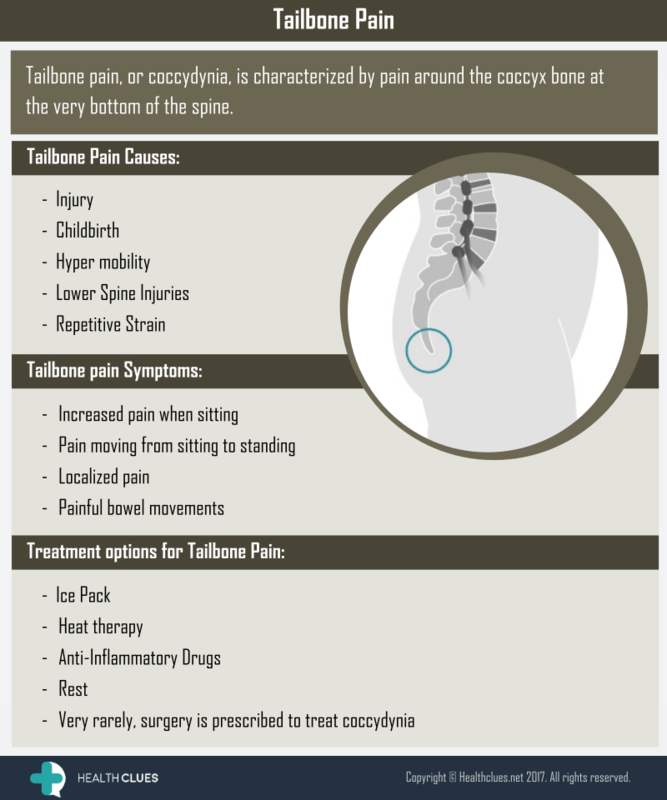 Tailbone pain, or coccydynia, is characterized by pain around the coccyx bone at the very bottom of the spine. Back Pain, Infographics low back pain, Sitting pain, spine, spine health, Tailbone, Tailbone pain. permalink.